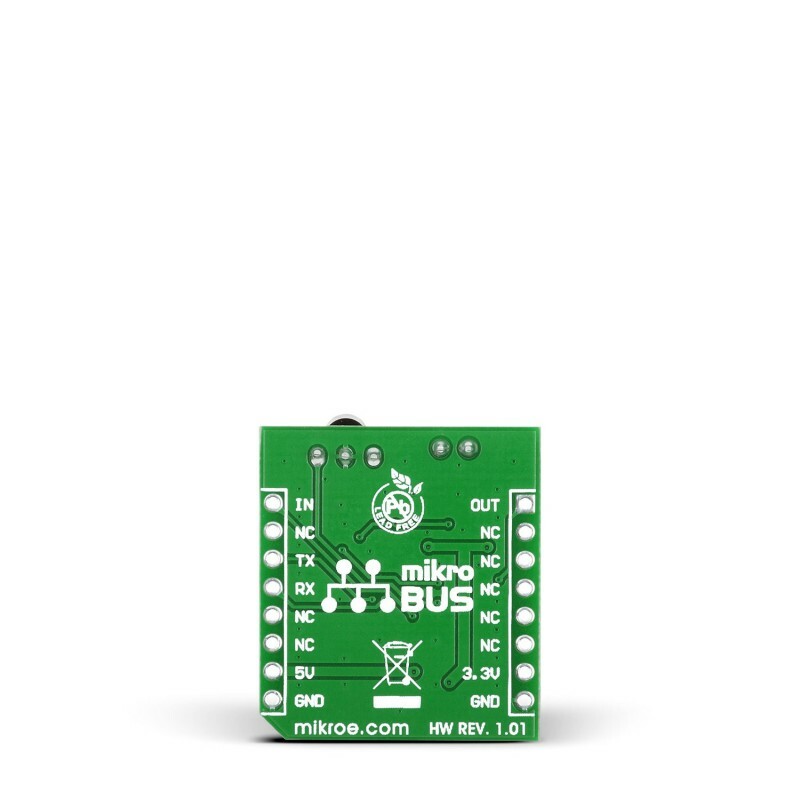 IR Click is an add-on board in mikroBUS form factor. It’s a compact and easy solution for adding infrared (IR) remote control module to your design. 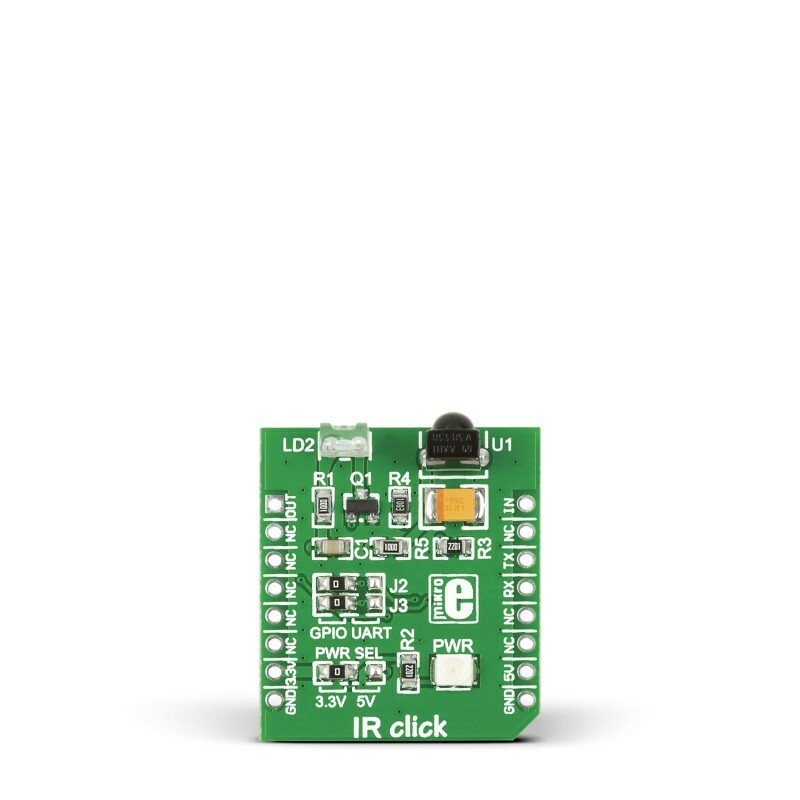 IR Click is an add-on board in mikroBUS form factor. 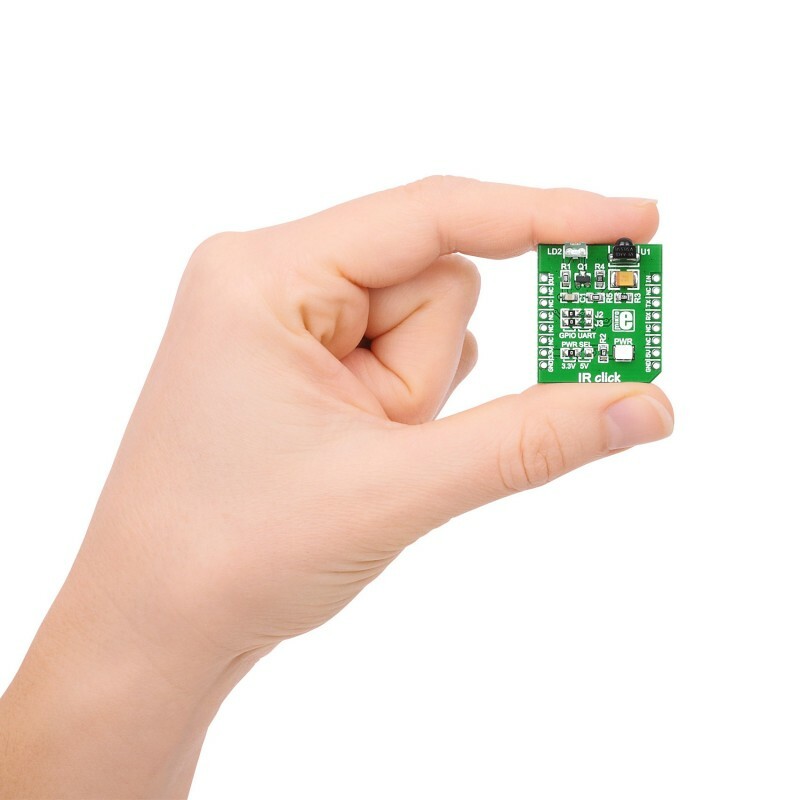 It’s a compact and easy solution for adding infrared (IR) remote control module to your design. 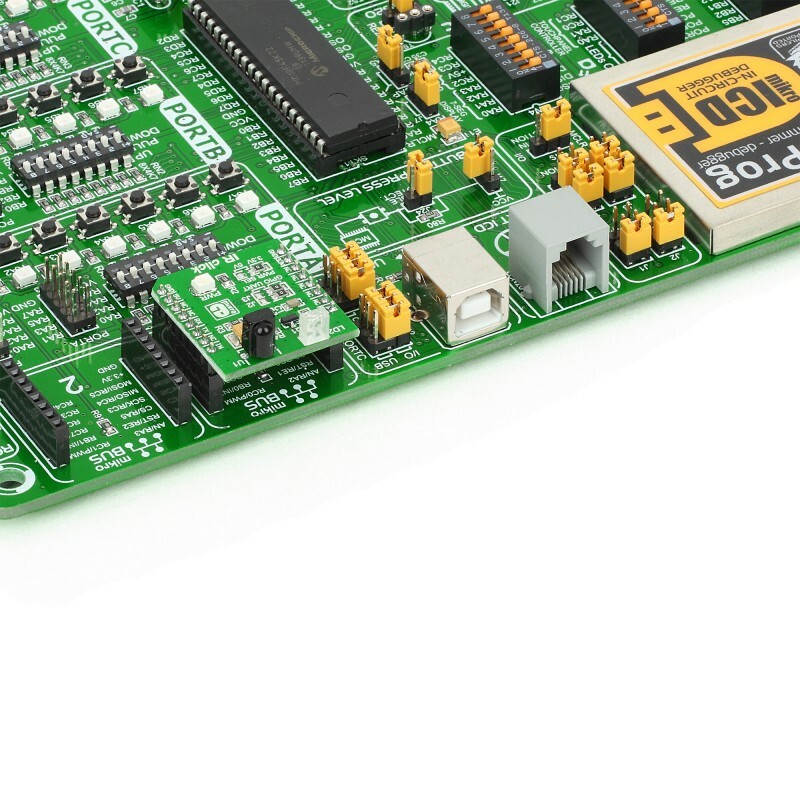 It features TSOP38338 IR receiver module as well as QEE113 IR emitting diode. The 38 kHz receiver carrier frequency is recommended for RCMM, NEC, RC5, RC6, r-step and XMP codes. 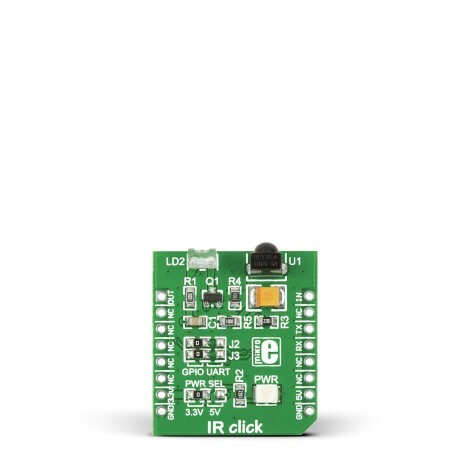 IR Click™ communicates with the target microcontroller via mikroBUS™ UART (Tx and Rx) or AN and PWM lines. Jumpers J2 and J3 enable you to choose between these two ways. J1 zero-ohm SMD jumper is used to select between 3.3V or 5V power supply. It is soldered in 3.3V position by default.